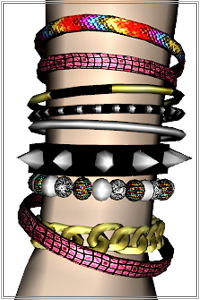 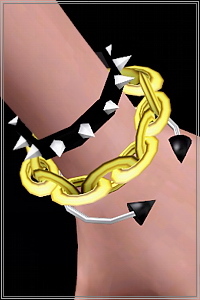 Multi layered bracelet featuring chain, spikes, bangles, beads, cords....4 recolorable zones, custom thumbnails, new custom mesh, base game compatible. 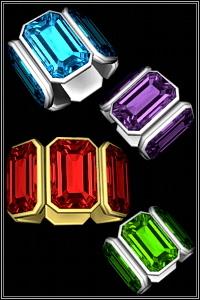 Big gem bracelet for your Sims 3 females. 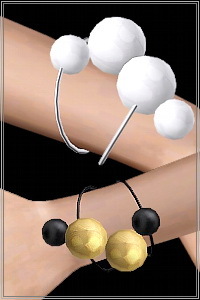 2 recolorable areas, 4 color variations, custom thumbnails, new custom mesh base game compatible. 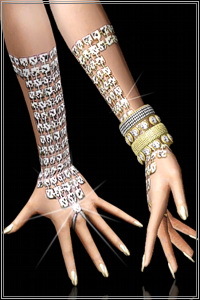 Cross and Crystal Disco Beads Hip Hop Style Shamballa Bracelet for Sims3. 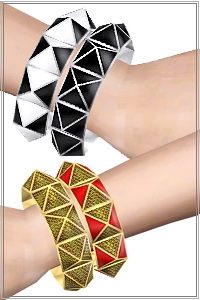 3 recolorable areas, 3 color variations, new mesh base game compatible.